The black Beats by Dr. Dre urBeats3 are 3.5mm connector–equipped, in-ear headphones designed to provide lifestyle convenience and full-range frequency reproduction for musicians, music lovers, casual listeners, and athletes traveling, performing, exercising, or meditating. The inline microphone and remote controls make controlling music, taking calls, and activating Siri a button-push away. The magnetic casings and flat cable offer tangle-free storage and transport. Axial-aligned drivers deliver an optimized output well suited for an extensive variety of musical genres and voice-only content. Balanced bass response is aided by laser-precision venting, and natural tonality is preserved via dual acoustic chambers. 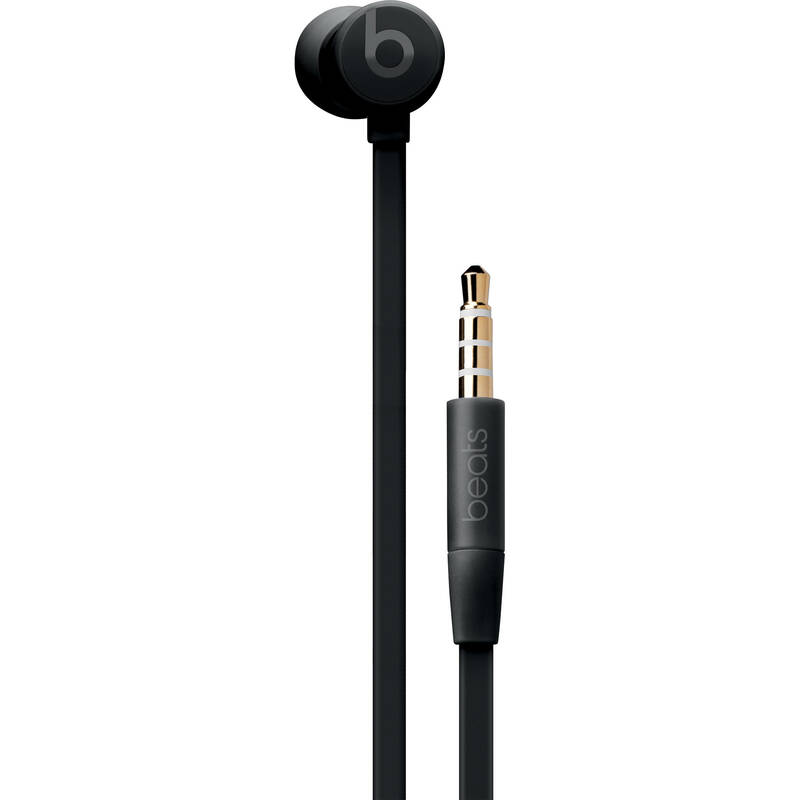 The urBeats3 ship with extra sets of eartips. Box Dimensions (LxWxH) 5.95 x 5.15 x 1.4"